Let the kids know they are loved & add one of these FREE Printable Lunch Box Notes to their lunch box! A fun way to let them know you are thinking of them! When school starts back I love to add a little something special to the kids’ lunch boxes everyday to let them know I am thinking of them. It doesn’t take much to add a sticker, piece of candy, or a special note. It lets them know you are thinking of them and puts a smile on their face! 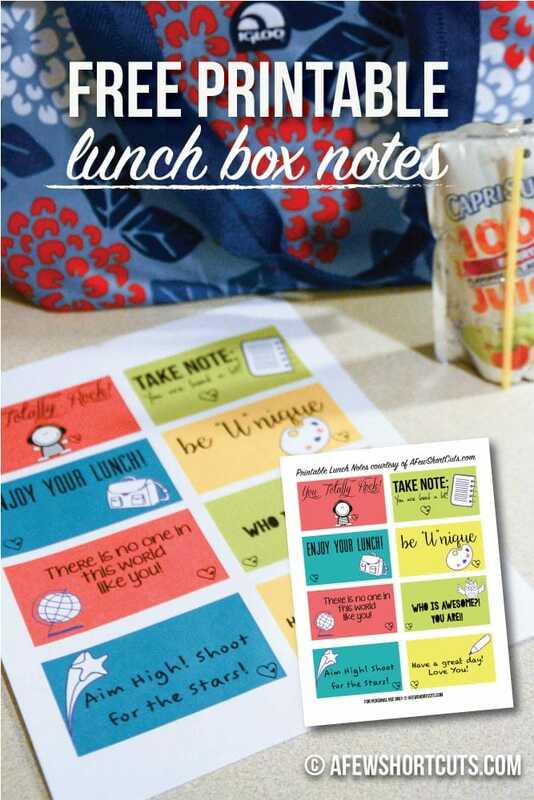 That is why I love these Printable Lunch Box Notes! Looking for more great lunchbox ideas?